This is too cold in the west now days. And the weather is getting even worst with every passing day. I think the global warming hasn’t affected this region at all. And same is the case with my wooden pallet recycling passion. 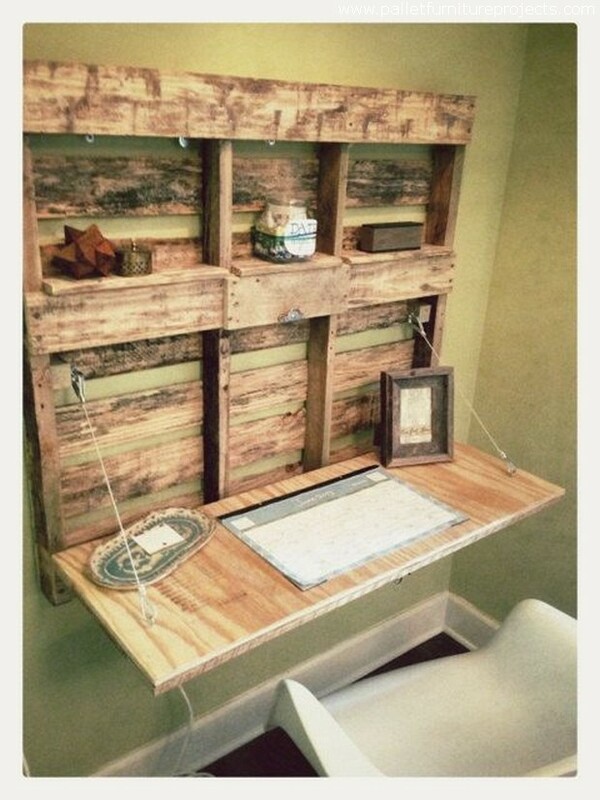 With every new day I wake up with new zeal and ambition and start exploring some new pallet wooden repurposing ideas. Once I am done with the search, immediately I start working on the newly found idea. The shipping pallets have always been a great support to me. 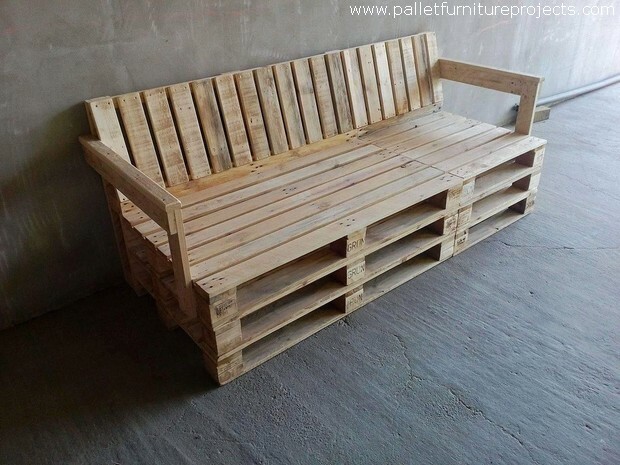 Let me show you guys some shipping pallets recycled furniture ideas. Nothing can match a chilled peg of wine or bear after getting free from the work. And this would taste and smell even better if this is chilled inside your favorite wooden furniture item. 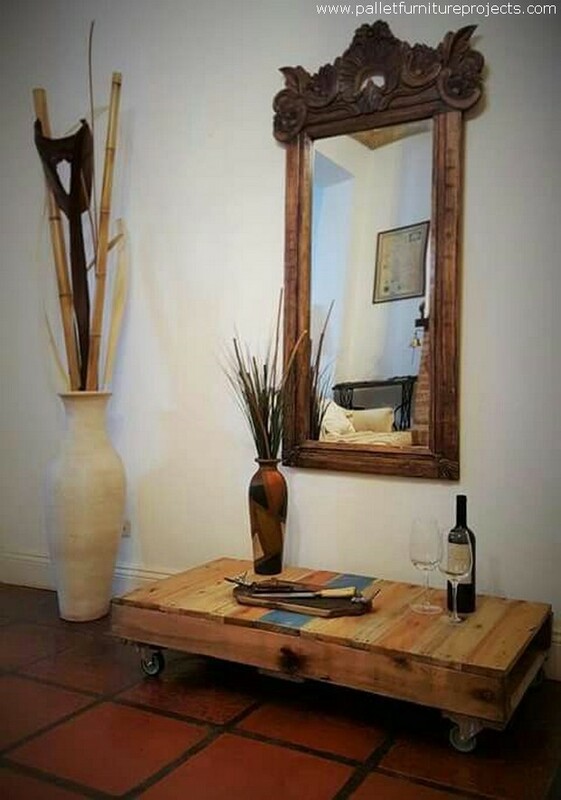 This pallet wood table is provided with additional space where you can create space for the wine bottles. Awwwww… these tiny little wooden pallet furniture items are absolutely amazing for the little kids as they are familiar with such furniture items in their class rooms. Bring them the same pair right in their house and they would be delighted to find this. I think all of you guys have become pretty familiar with the wooden cable reels. And we have also brought you guys a number of wooden furniture items made with the cable reels. Here is another classic cable reel recycled chair that has got a matchless shape that can’t be bought from the market. Some guys are really choosy about their home interior and décor plans. They do not want to see some regular stuff inside their house, so I think this folding pallet wooden wall desk is an ideal installation that can be considered. I urge you to consider this one. Have a look on this one, what exactly do you think of this one? 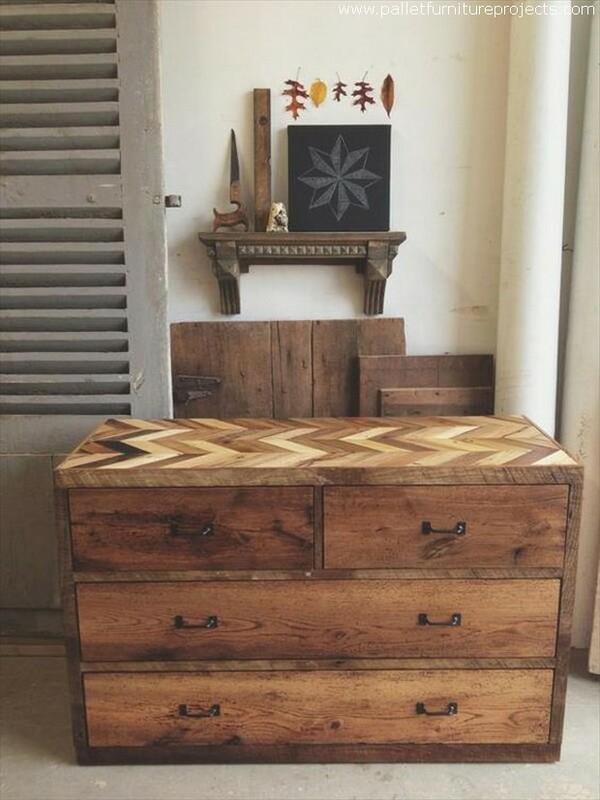 This is basically a pallet wooden dressing chest, isn’t that a great idea? This can be used for multiple purposes. Put inside your clothes or use it to store some other accessories. Only the ideas can bring about a new life in the wooden pallet furniture items. 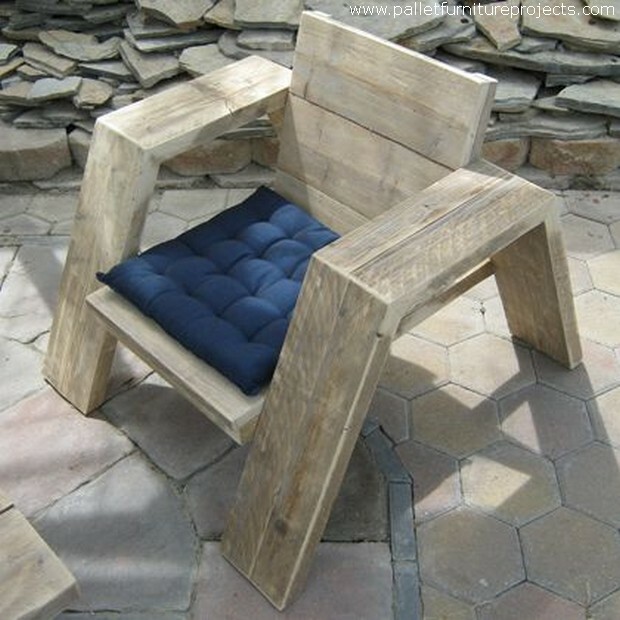 The appropriate idea selection can make the ordinary furniture items look even better as we can see in this one, this dual pallet wood chair along with the built in table can ideally be used anywhere in the house or may be in the garden as well. 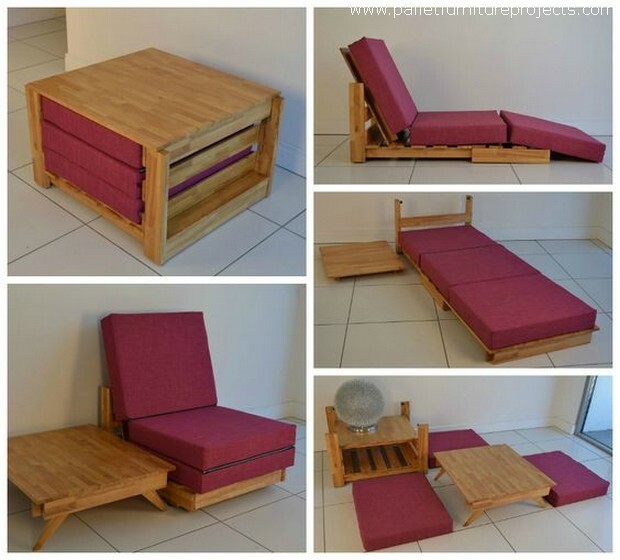 This portable pallet wood furniture item has got so many dimensions, this can be turned into a pallet wooden couch, a bed, a sun lounger and a daybed as well. This is going to capture least space inside the house due to the slim shape. 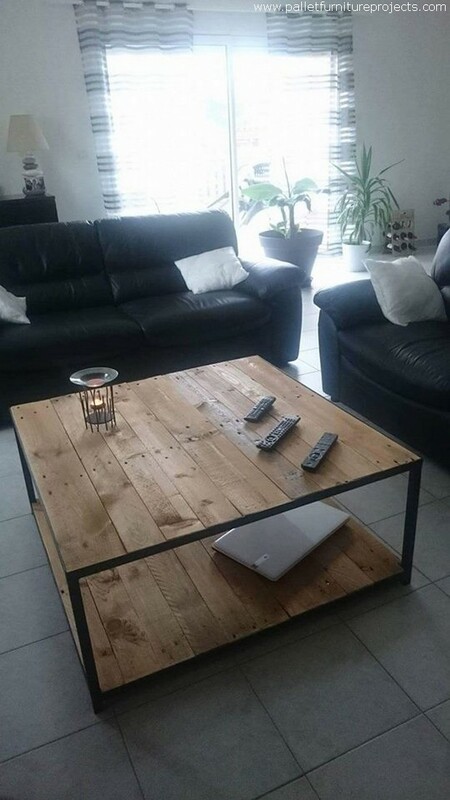 I have made a number of pallet wooden coffee table using the pallet wood planks, this one table which is pretty low to the ground can best be used as a side table or hallway table. Put a couple of accessories on it or a couple of wine bottles. 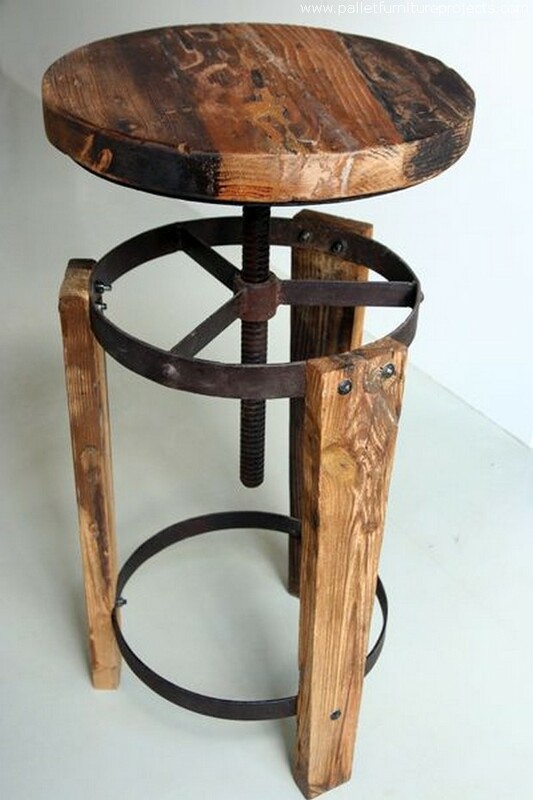 I think I am really impressed with this industrial wooden stool. A lot of metal is used inside the pallet wooden stool. 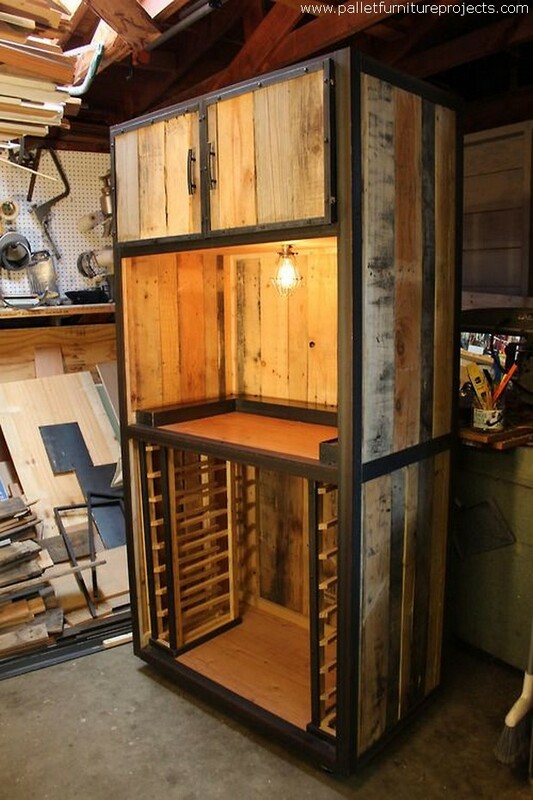 This is something that is beyond the comprehension of common pallet wood crafters. 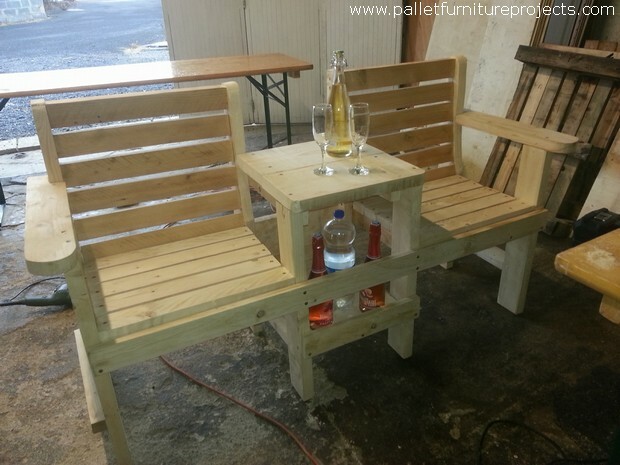 Only the smart and skilled wooden pallet crafters can try making such a master art craft using the pallet wood. 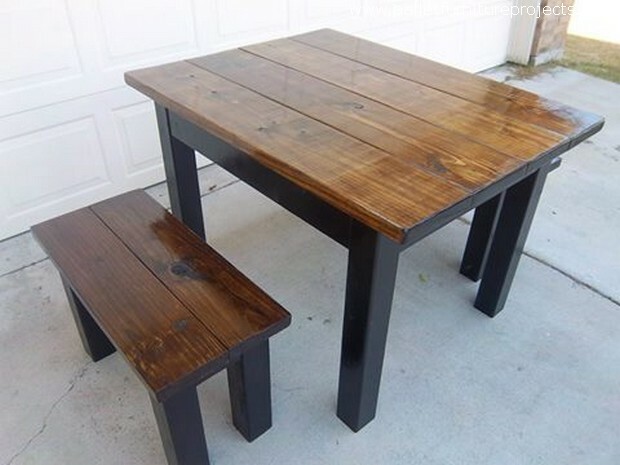 This sort of stylish and raw wooden tables are just getting so trendy now days. People like them the way they are recycled here. They feel good using it in the simple manner. 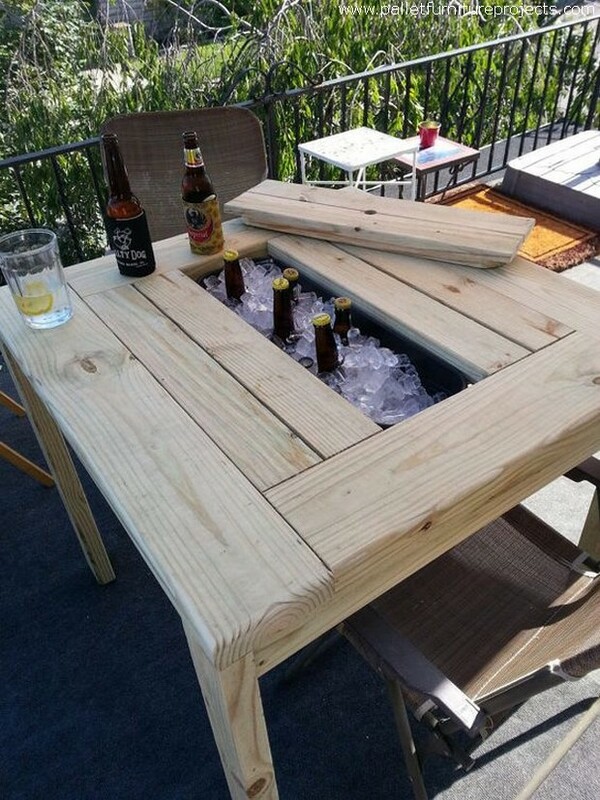 The basic frame is made with the metal and the rest is made using straight pallet wood planks. And here comes something exceptionally stylish and appealing. This can easily be called an ideal pallet wooden coffee table as it has got all the features making it an ideal wooden furniture item. The best color scheme is applied, and the glass top has given it the finest look. This rustic and raw wood pallet repurposed couch is shown as the basic inspiration to give you guys an idea that how exactly the basic frame or structure of the pallet wooden couch looks like. Apparently it seems like a couple of whole pallets are put one on another. 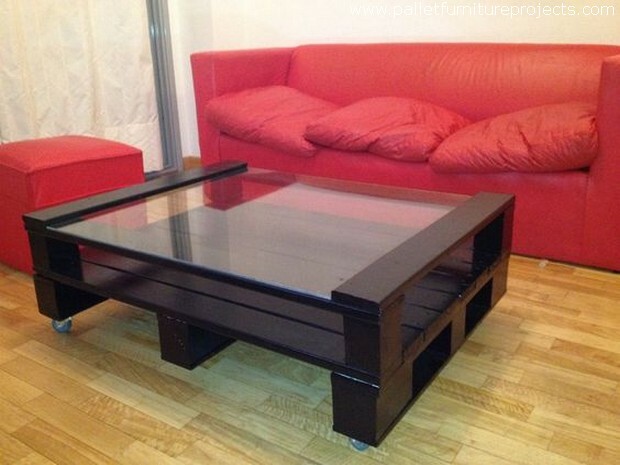 This coffee table is quite different from the one that we made earlier. 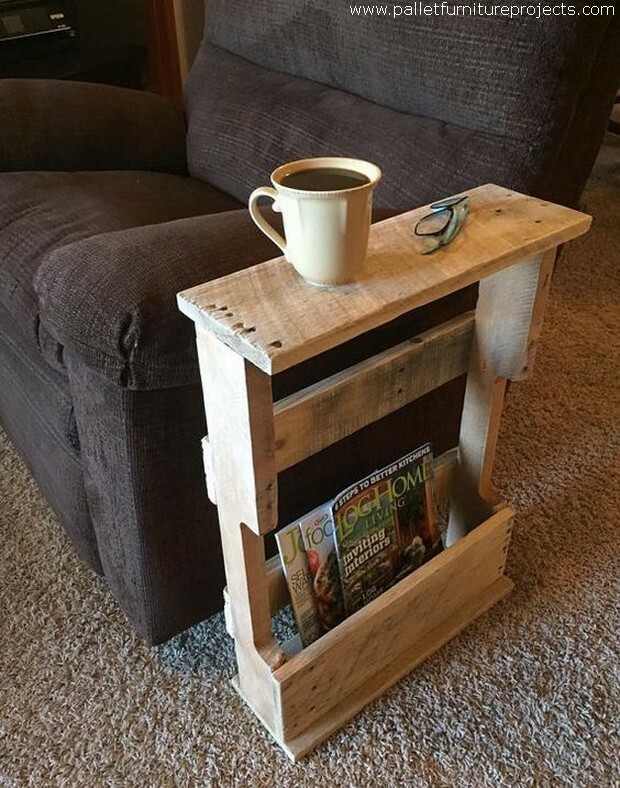 This is kept rustic and another good thing about this table is the quality of the shipping pallets that are used in making this pallet wood coffee table. This classic wood made couch reminds me of the good old times. 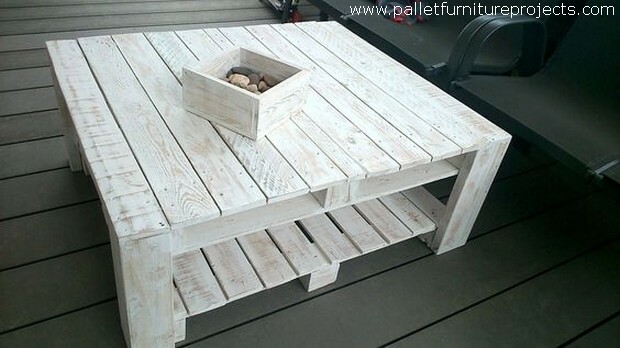 Despite of the broken and deteriorated shipping pallets that are used in here, this still makes an ideal wooden pallet furniture item. 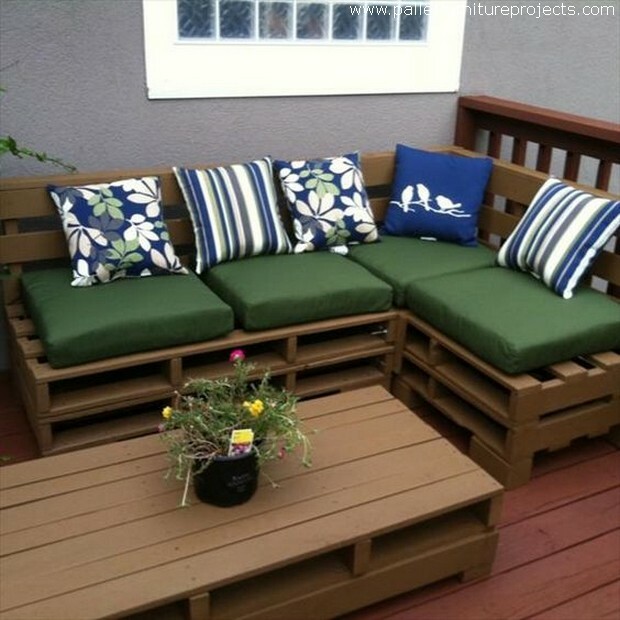 This customized pallet couch would be equally good indoor and outdoor as well. So try this out for your personal use. 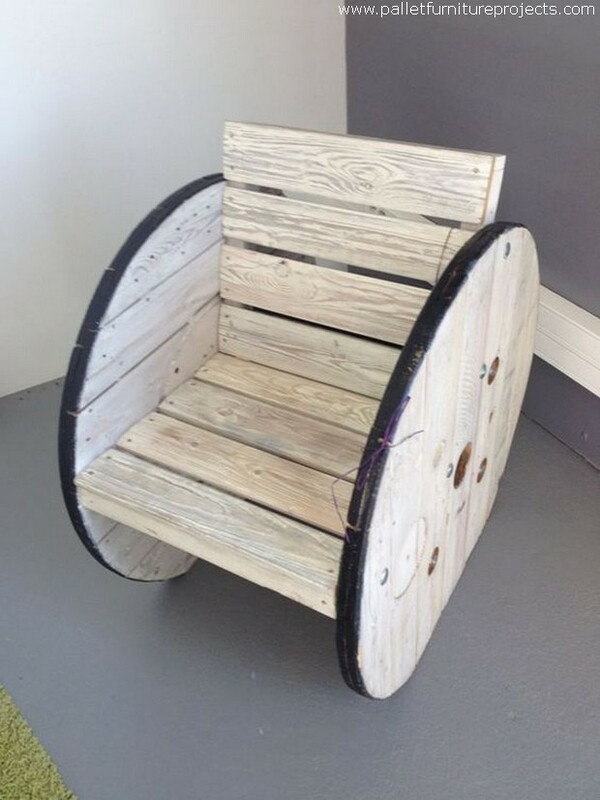 Most of the furniture items that we have made here with the pallet wood have got very exceptional designs and shapes. As this one is quite unique that can’t be seen anywhere in the market. 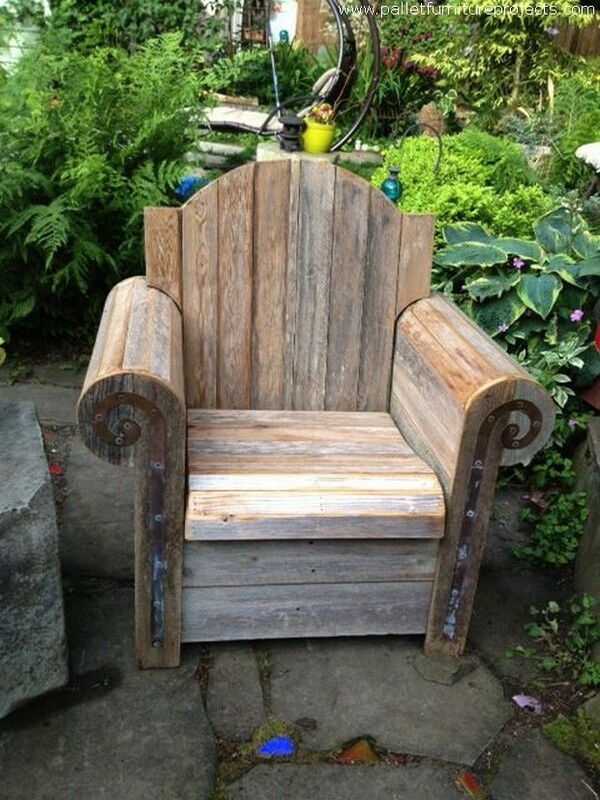 This is just the creativity of the pallet wood crafters that turn them to be so ideally good. L shaped couches are appreciated worldwide. Depending on your available space this wooden couch can be the best furniture item because it has got so much space and style that it would easily cater all of your accommodation needs for a large number of visitors. 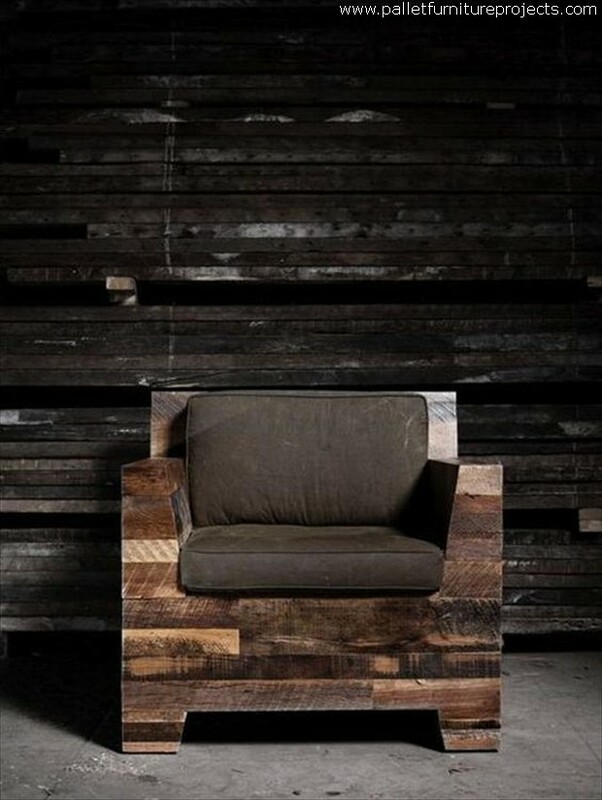 This is again a customized wood pallet upcycled couch made by some fanatic pallet wood crafter. But I would say that undoubtedly he has really made an impact on the viewers with the exceptional skill that reflects from the said couch. This royal looking couch if stained can turn to be the best feature of your sitting arrangement. 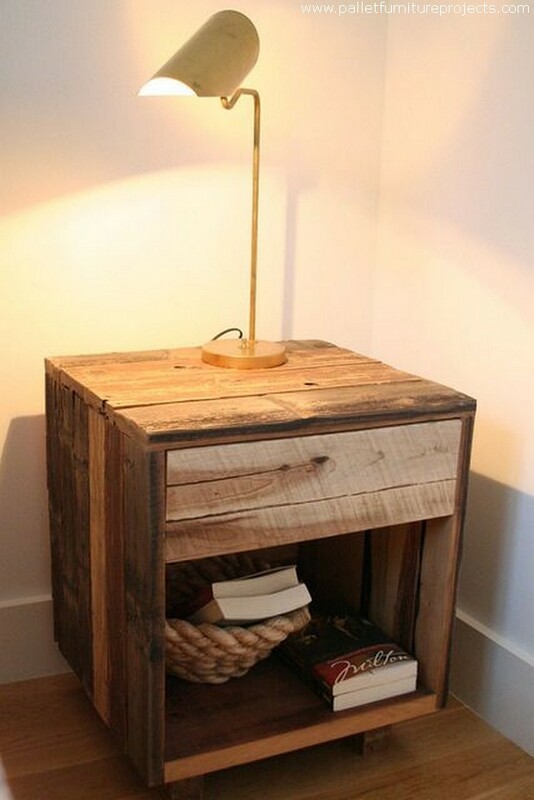 Just look at the quality of shipping pallet that were brought to recycle this wooden pallet side table. No matter how broken and ugly they are, they are cut trimmed and sanded so smartly that all the flaws have been smartly camouflaged.